I am in search of the family of Gustavus Payne. I have the children but nothing on parents or siblings. I saw that Roberta Wysong compiled a Parke County probate box 36, File # 17 dated 15 Sep 1846 concerning Payne, Jos. estate. "Julia Payne received a legacy but relationship not specified" Mentioned was James Payne, Capt. James Payne, James W. Payne, Gustavus Payne. My question is whether there would be more information in that file, and if so what would be the charge to send a copy of the full file? Thanks. Information submitted by Cathy Conrad (chart12554@aol.com) of Lafayette, Indiana about her 5th great-grandfather (Sebastian Frederick) and her 4th great-grandfather (Jonathan Conger). Thank you, Cathy, for sharing this information! Sebastian Frederick, Jr. was born in Moorefield, Hardy County, West Virginia and died 9 October 1827 in Gibson County, Indiana. He was a Revolutionary War sergeant and spy. He served as a Sergeant in the Second Battalion of Captain Samuel Cunningham's Company in the Washington County Militia from 22 June 1781 - 23 July 1782. Proof: Militia Loan Document of 1 April 1784, certificate of public debt, number 2026. His father, Sebastian Frederick, Sr. (1740-1787) also served in the Pennsylvania Militia (with Captain Minter) as a spy in the Revolutionary War. 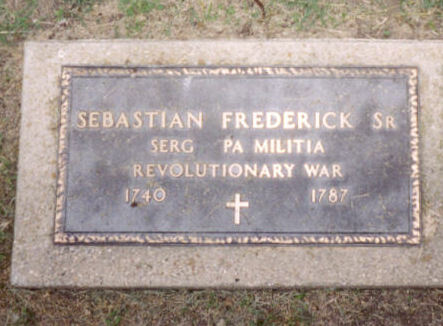 According to FindAGrave, Sebastian is buried in the Frederick Family Cemetery in Pike County, Indiana, but there is also a military marker for him in Greenlawn Cemetery, Vincennes, Knox County, Indiana. Jonathan Conger is buried in Conger 1 in an unmarked grave on private land. A headstone was erected for both him and his wife Mary (daughter of Sebastian Frederick) in the Davidson Family Cemetery, Clay Township, Pike County, Indiana. Both men are listed in the Patriot databases for DAR & SAR. I'm researching my Jerrell Family genealogy and I've hit a brick wall. I have an 1860 Federal Census record for Leonard Jerrell. It lists Petersburg, Pike County, Indiana, and includes his wife, son and my gr-grandmother Fruzanne Jerrell. Then I have a copy of my ancestor Leonard Jerrell's Civil War Draft registration, 1863-1865. It lists the state of Indiana, several counties and the date of June 1865. There is other writing but it is difficult to read. After that I've been unable to find any kind of record of him at all. In Nov. 1865, I have a marriage record for his wife Eliza Jerrell and an Isaac Harrell; the 1870 census has her married to Isaac and her children by Leonard Jerrell listed as step-children. How could she remarry unless he died? Is there any way I can find out if Leonard died in the war or maybe died from injuries received in the war. Did he desert? He couldn't just vanish without some kind of record. The draft registration is an indication that he was subject to the draft, not that he actually served. (He may or may not.) Is there an estate for Leonard Jerrell in Pike County? Is there a guardianship for his children? We are thrilled to announce several new Civil War databases on the IGS website! All of these databases are in the Members-Only section of the IGS website. Not a member? Join today! 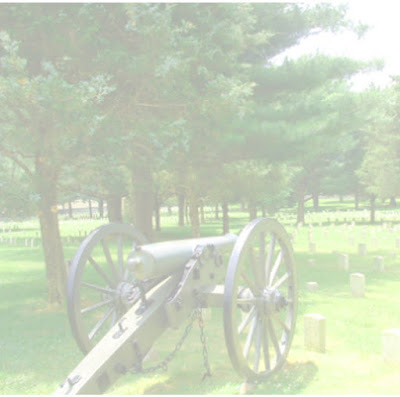 An index of 17,500 veterans of the Civil War who either served in an Indiana regiment or were buried in an Indiana cemetery, as listed on applications to have the federal government purchase a tombstone for their graves. Compiled by Meredith Thompson. The following are browsable digital images of rosters of the Indiana Legion, which was formed to protect Indiana's borders during the Civil War. All are in the collection of the Indiana State Archives and contributed by Ron Darrah. I am trying to find anything on my family. What I have found so far: My great-great-grandparents Samuel W. Hughes, who came from Wales, married Martha Jane Gray in Warrick County, Indiana. I found they were living in the Evansville, IN, area and are both buried in Oak Hill Cemetery in Evansville, along with some children. I can't find anything on my great-grandfather, James Samuel Hughes, Sr. and great-grandmother Lizzie Prepstel (She was born in Evansville to Peter Prepstel and Margartha Rocket, who both came from Hesse, Germany, I think.) I know my grandfather died in 1930 at the age of 29 in Evansville and is buried in Locust Hill Cemetery in Evansville. Is there any way to find if either family has any living relatives still in the area? An index of 23,000 students and teachers in grades 1-12 who attended Smithville schools. The yearbooks are in the collection of the Red Men Museum and History Center in Smithville, This database was contributed by Randi Richardson. The following are members-only databases. Log in to use these collections. 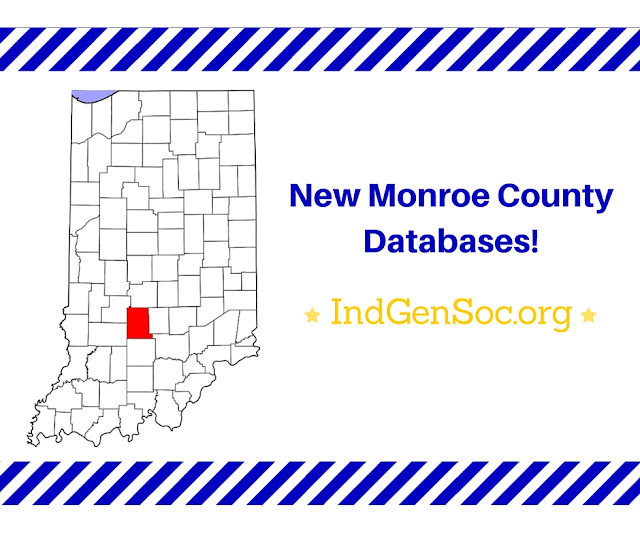 Not a member of the Indiana Genealogical Society? Join today! An index of the students and teachers whose photos appear in Bloomington High School's 1912 yearbook, The Gothic. This database was contributed by Randi Richardson. An index of 1,875 people who owned land in Monroe County in 1856, as listed in an 1856 atlas. This database was contributed by Randi Richardson. An index of the people who lived in the Monroe County Poor Asylum from 1918 to 1920, as listed in the asylum's quarterly reports. This database was contributed by Randi Richardson. 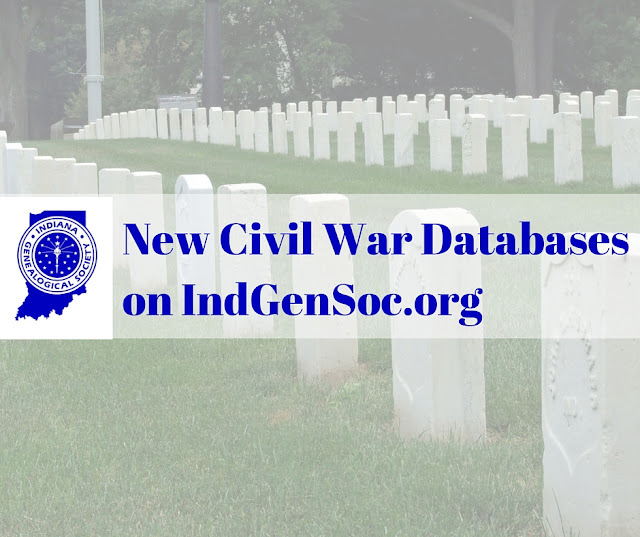 An index of 128 veterans of the Mexican War who either served in an Indiana regiment or were buried in an Indiana cemetery, as listed on applications for military tombstones. An index of 49 veterans of the Revolutionary War who were buried in Indiana, as listed on applications to have the federal government's military tombstone for their graves. An index of 35 veterans of the Spanish-American War who either served in an Indiana regiment or were buried in an Indiana cemetery, as listed on applications for military gravestones. Browsable digital images of an Indiana Legion roster, which was formed to protect the state’s borders during the Civil War. This roster is in the collection of the Indiana State Archives and was contributed by Ron Darrah. Need anything after 1880 on: Lavina or Vina (Jordan) Johnson, b. 1854/55 in Indiana; m. James F. Johnson in 1871 in Hendricks County, IN. The 1880 Census has her as head of the household with her 4 boys: Walter Johnson b. 1872, John W. Johnson b. 1873, Isaac Newton Johnson b. 1874, George P. Johnson b. 1876. Family lore says she ran away and left the boys with their father. He remarried in 1885. Also would like Vina's Father and Mother's death certificate which would have their parents’ names on it: Andrew J. Jordan b. 1825 in VA; Mary Ann Lipe b. 1830 in NC; Married 1870 in Hendricks County, IN. I know that when Andrew died about 1862-66, there was a guardianship set up for the children and Lavina was 11. They lived in Pittsboro with John Nelson whom Mary Jordan married. Lavina left that household at 16 to marry James F. Johnson.